90% of adults don’t eat the right amount of fruits in their diet. You should aim for about 2 cups of healthy fruit every day. The healthiest fruits will provide your body with much-needed vitamins, minerals, and antioxidants. So, which fruits should you stock your kitchen with? 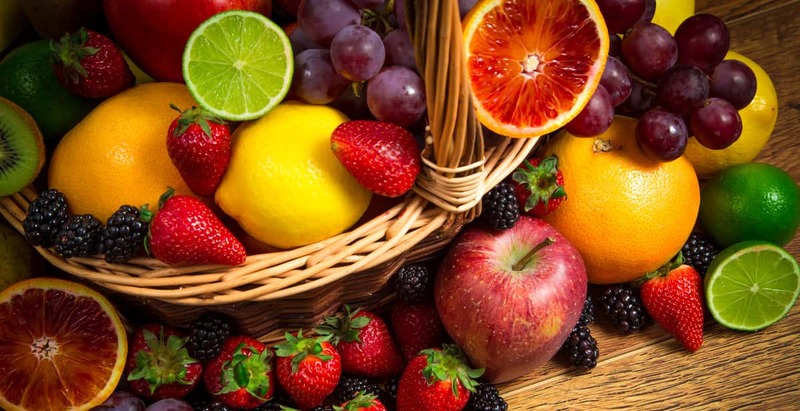 Here’s our list of the best fruits to add to your diet. Avocado is one of the best fruits to eat for monosaturated fat. This heart-healthy fat helps your body absorb other nutrients from foods you eat. Add them to salads, make guacamole, or try these avocado recipes. Avocados also offer over 20 different minerals and vitamins. These work to help reduce cholesterol and fight inflammation in the body. They also contain lutein, to promote eye health. This low-carb superfood is full of B vitamins. As well as vitamin K, C, and E. It even gives you a higher serving of potassium than a banana. Avocados are a great source of folate. Which is important for expecting mothers as it reduces the risk of birth defects. They also contain fiber to keep your body full. This can help you lose weight as your appetite stays satisfied longer. These superfruits get loaded with antioxidants. Eat them daily to lower your risk of a stroke or heart attack. Fill up on raspberries for fiber and manganese. Or blackberries which are also high in fiber, calcium, and iron. Blueberries are great for blood circulation. These healthy fruits also enhance your memory and have anti-aging properties. Eat strawberries for vitamin C and folate. Strawberries are lower in sugar than other fruits. They are also a natural method for keeping your teeth white. Cranberries contain unique nutrients, like vitamin K1 and copper. Eating them will help you maintain good cholesterol levels. They can even keep you from getting a urinary tract infection. Apples are a favorite at the farmer’s market, with good reason. They are full of fiber and flavonoids. Eating an apple a day can reduce your risk of cancer, heart disease, and diabetes. They also contain quercetin, which is good for brain health. It can prevent dementia and Alzheimer’s. Their B vitamins and phytonutrients can also help reduce your risk of breast cancer. Granny Smith apples also promote healthy gut bacteria. Be sure to eat the apple skins to get the most amount of nutrients. Grapefruits are some of the best fruits to eat for healthy skin. They contain vitamins A and C, which help prevent sun damage. Eating grapefruits can result in fewer fine lines and wrinkles. As well as an increase in collagen production. They are also made of almost all water and are great for hydrating your body. Grapefruits can help regulate blood pressure and reduce diabetes. Eating them can also prevent heart disease or stroke. They also contain fiber to help with weight loss goals and better bowel movements. Grapefruits also have lycopene and choline. These nutrients can aid in maintaining a healthy body weight. Yet, grapefruit can interact with certain medications. Including drugs for treating cholesterol, blood pressure, or psychological disorders. Mangoes can help with health conditions from cholesterol to cancer. They include tons of vitamins, like beta-carotene, which works to help strengthen your immune system. Mangoes also have iron and contain more vitamin C than oranges. Eat them for healthier and glowing skin. You can even use mango slices to cleanse the skin and combat acne. This tropical fruit is a must for a strong immune system. Pineapple contains bromelain which has anti-inflammatory properties. It helps the body digest protein better and can slow cancer growth. Pineapple also has vitamin C and thiamin. This helps your body produce more energy. Those who eat pineapple also get tons of fiber for better digestion. As well as manganese for stronger bones. This refreshing citrus fruit has gotten called the healthiest fruit in the world. This is due to lemons being able to detoxify your system. They also help to regulate your body’s PH levels. Lemons can help you absorb iron from other foods. This makes a cup of hot lemon water a smart choice when you first wake up in the morning. This fruit can even help you lose weight. As lemons speed up the metabolic rate of your body. They also contain a high content of vitamin C and fiber. Lemons have anti-inflammatory and antibacterial side effects. They promote digestive health and protect you from sickness. Lemon juice can also reduce the risk of getting kidney stones. Bananas are the most popular fruit to eat, with the average adult eating 27 pounds of bananas each year. A single banana provides 490 mg of potassium on average. They also have fiber, protein, and plenty of B6 vitamins. Bananas are great for providing sustainable energy before a workout. They also contain pectin to aid the digestive system and maintain blood sugar levels. Eating unripe bananas are even better for you. They have resistant starch carbs, meaning green bananas let less sugar get dissolved into your body. This unique fruit is full of fiber and vitamin C. It contains high amounts of antioxidants, like quercetin and luteolin. Eating soursop can slow down the growth of certain cancers by shrinking the size of tumors and killing off cancer cells. It’s also great for oral health by working to fight bacteria found in the mouth. Soursop can also decrease blood sugar levels in those with diabetes. Some of the healthiest fruits are quite rare, making them hard to find at your local grocery store to diet on a budget. Check out this site to learn more about Soursop and where to buy it. Pomegranates are one of the most flavorful and healthiest fruit for consuming antioxidants. They also have phytochemicals which help fight cancer by protecting cells and eliminating free radicals. Eat pomegranate seeds or drink the juice to fight inflammation in your body. It also aids digestion and can even help those with arthritis. This heart-healthy fruit can lower cholesterol, and improve blood circulation and pressure. It also contains potassium to stabilizes energy levels throughout the day. You’ll feel less sore after workouts with better muscle recovery. Fresh pomegranate juice also contains vitamin C and E. This helps boost the immune system. Pomegranates can also reduce memory loss with age, making them a great choice for those looking to improve mental health. This fruit can also promote better sexual health. It can reduce erectile dysfunction, boost fertility, and improve testosterone production. The healthiest fruits go hand in hand with a proper diet plan and exercise routine. It’s important to balance your meal plans to ensure you get enough protein. This will help you to stay full and build muscle throughout the day. Here are 5 protein-rich meal plans to go along with your healthy lifestyle.